If you're Looking for a healthy and refreshing summer appetizer, look no further! These tasty bites are a recipe from the Tone It Up nutrition plan. I brought these to a beach wine night last week and they were great! The recipe below makes 4 cucumber slices so make sure to double or triple if you want more than that. Mix the greek yogurt and coconut in a small bowl. 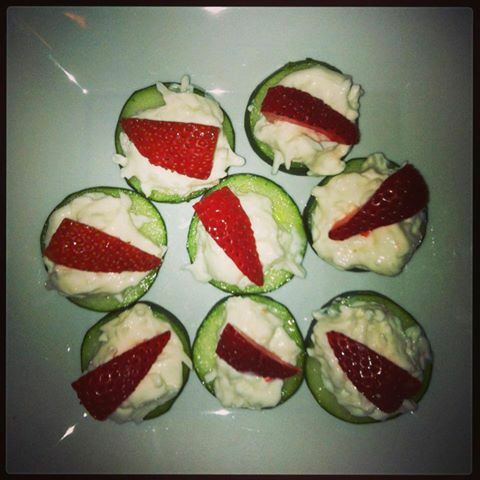 Spoon onto cucumber slices and top with a strawberry slice.